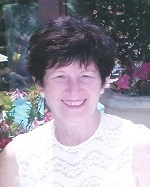 Judith "Judie" Narens, 83, of Novi, Michigan, died on 26 March 2019.
on Friday, 29 March 2019 at 12:00 PM . Rabbi Michael Moskowitz and Cantor Penny Steyer officiated. Interment at Beth El Memorial Park.